We believe in helping you preserve the quality and value of your vehicle so we offer free oil changes for life when you purchase and service your vehicle at Basil Resale Transit. I would never buy a vehicle anywhere else!! The employee's go above and beyond to cover every single need! Every single detail! Sara Mayle kept me updated several times a day on the car I wanted to purchase. She had it running and ready for my arrival... Every single question and concern was addressed! Everything extra that I wanted for my car she was able to set up for me at my convenience! She was able to set up 3 of my extras all for the same day as to make it easier on me! Purchased my bumper to bumper complete extra warranty for a gr price!! Other than normal wear and tear... they cover ALL repairs for 4 years, plus roadside assistance! I have oil changes free for life of my car!! Plus, purchasing my car there I was blessed with an additional discount for undercoating to protect my car from the evil of winter... salt damage from living in New York! Buying a used car with 100 percent piece of mind and NO ONE does it quite like Basil Resale!!!! Thank you for making my purchase so easy and letting me drive it home... Off the lot to my driveway.. on the same day as my test drive! Not one bad word I can say about the ENTIRE team!! You do not have just one sales person, you have an entire team!! They do not hound you or push you to purchase extra things, they simply inform you of your extra options so you do not feel tricked or pushed into spending more than you want!! And if you want anything done they give you several options that will fit YOUR need and budget! Not just in it to drain your pockets! So please, be SMART and choose Basil Resale!! I have purchased a vehicle from Sheridan and Transit locations and had an amazing experience at BOTH places!!!! Service department is second to none. Very knowledgeable staff and an extremely helpful service manager. I won't go anywhere else to have work done on my vehicle. Got my car and the dealership was very accommodating with any request I had. The Best Used Cars, SUV’s & Trucks in Williamsville! 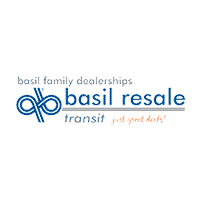 At Basil Resale Transit our dedicated team works hard to make your used vehicle buying and ownership experience easy and enjoyable. Our used car inventory is the best in Western New York with over 1,100 vehicles to choose from including all the brands you love: Acura, Buick, Chevrolet, Chrysler, Dodge, Ford, GMC, Hyundai, Mitsubishi, Mercury, Mazda, Nissan, Oldsmobile, Pontiac, Saturn, Scion, Subaru, Suzuki, Toyota, and Volkswagen. Save time and money buying a car through our Basil Resale Transit online dealership! Our online inventory allows you to search for the perfect used car, at the perfect price, along with free no obligation price quotes. If you’re looking to sell your vehicle for cash, then Basil Resale Transit is the right place for you as well! There is no purchase necessary, contact a member of our team to get an appraisal today! Visit Our Williamsville, NY location today to find out how we provide the Basil Difference to drivers of the greater Williamsville, Buffalo and Kenmore areas. Trust Basil Resale Transit to take care of your vehicle needs beyond the date of purchase! Our service center is staffed with the best of the best technicians that will make servicing your vehicle transparent, quick and easy. Whether you need to stop in for an oil change or are experiencing transmissions problems, our service team is here to help get you back on the road in no time! Our friendly staff, experienced service technicians and trustworthy finance team are here to help with all your automotive needs! If you have any questions at all, please contact our dealership or come in for a visit at our Williamsville location and we’ll welcome you to the Basil Family!